Addiction to the drug group known as methamphetamines can scar every aspect of an individual's life. La Jolla Recovery provides specific attention to meth and methamphetamine drugs at our detox and rehab program. Accepting that meth can be highly addictive and habit forming, we make sure that the biological needs of someone abusing meth can be attended uniquely at our detox center and later be attended with follow up at our rehab and outpatient. Given its toxic nature, long term rehab might be an excellent decision in order to make sure the progress is sustained and that sobriety becomes the norm. Methamphetamines are actually prescribed as pill form for specific medically required diagnosis'. It is an adrenergic or catecholamine and CNS (central nervous system) stimulant that is primarily prescribed for attention deficit disorders and obesity among other ailments. Causing a surge in dopamine and adrenaline, it provides the body with high levels of energy and a feeling of euphoria as well as cutting off hunger and stopping the melatonin production if taken late at night. This sense of joy and energy can become pleasurable and many times ends up as a habit and if used in a prologued manner may affect sleep and wake patterns, energy levels and overall feelings of wellbeing. Also, the capacity to store dopamine is blocked and can lead to depression, mental health symptomatology and anxiety among others. The effects of meth require specific attention and supervision, making sure sleep and comfort can be achieved in the first day. At La Jolla Recovery drug detox we can make sure the anxiety and physical discomfort is minimized while having the professional supervision of clinical and medical needs. 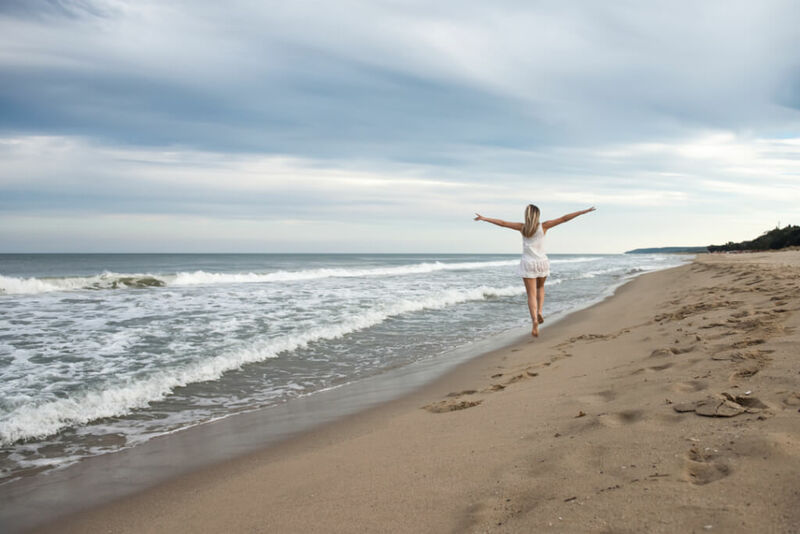 After detox, rehab can begin to have social components and a schedule to revive sleep and wake cycles, provide a stimulating environment next to the beach and ultimately begin a journey experiencing sobriety. When meth is utilized by injection or smoked, it can cause a sense of prolonged well being and energy. When meth is inhaled or swallowed this sense of euphoria is gradual and tapered. It is not uncommon for someone to begin snorting or taken orally and then progress to injection or smoke. The effects can last up to half a day or 12 hours, creating a sense of hyper vigilance and loss of appetite. Lack of sleep and eating affects brain patterns, cognitive health and can lead to paranoia, hallucinations and malnutrition. It is not uncommon for the skin and bones including teath of meth abusers to be deteriorated and show breakdown at a synthesis level. What may begin as a tool to work more, be productive, lose weight or stay up all night can later become a crutch to simply wake up and function, leading to substance abuse, addiction and impact all areas of a persons life. From social to emotional, bonds are broken, job or school can cease and lead to a life torn from relationships and overall quality. The rates of admissions in rehab due to methamphetamines continues to grow and the shipping of the main ingredients to produce meth such as ephedrine and pseudoephedrine have flooded the United States with a cheap and very strong chemical that eats away the livelihood of many times well intentioned individuals seeking a way to improve their quality of life. Once rehab for meth is completed, outpatient drug programs for methamphetamines can begin and have a peer of groups that share a similar background, provide a healthy accountability and continue to work or school gradually as monitored by our recovery staff. Our detoxification process for methamphetamine abuse has been developed for the last 10 years to uniquely attend the biological, cognitive and social needs that meth requires. A few days of detox are not enough to bring stability after meth addiction. That’s why at La Jolla Recovery we have long term phase programs that can attend every specific phase of the rehabilitation process. At our inpatient residential treatment, it is possible to have a safe home that is supervised while attending therapy, groups and social support groups such as AA or NA. Frequent drug and alcohol testing makes it safe and structured to develop a new life of waking up, sleeping and socializing with stimulating people in a beautiful beach setting of San Diego County. Feeling safe should be a given when in rehab or detox. That’s why at La Jolla Recovery we have perfected our women’s rehab and men’s program, making sure they can live separately with the right cultural sensitivity and needs met. We’re not only LGBT friendly, we have LGBT staff and allies. We live to provide the highest standards in attention to every cultural need including gay, lesbian, bisexual and transgender specific requirements. From housing that attends their sexual identity, La Jolla Recovery is proud to be in the forefront of evidence based treatment for addiction that is culturally specific and respectful of personal preference and orientation. Our IOP program is the continuation of an integrative rehab after meth addiction. Let our outpatient drug rehab program in San Diego provide an inspiring ambience with experiential activities for the latter days of rehabilitation. Once completion of rehab is achieved, we recommend continuation of sobriety with sober living. One our recovery staff can suggest local sober living homes in order to have a safe and drug free environment while continuing meetings and contact with a case manager. Let us provide your journey away from the shackles of meth towards the freedom of recovery.